Piano Lessons in Woking Teaching Academy. I run my training academy from my home in Knaphill. It makes use of wonderful music studios I have in my garden. I am employing outstanding music teachers, gifted in performance and teaching. All the academy teachers are CRB checked. The vision of the Academy is to teach strong technique, improve students quickly and develop a real love of music. All the teachers are highly qualified with degrees and enjoy both performing and teaching. 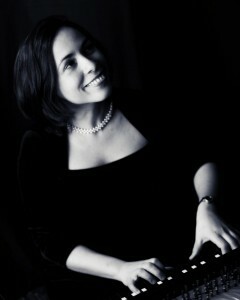 We encourage all the students to perform in summer and winter student concerts, and selected students to play in the master classes we arrange ( http://www.eralysfernandez.com/tag/masterclass/). We also prepare students for performance at local music festivals. We have students preparing for Grade 1-8 ABRSM and Trinity and also a number of advanced students playing highly technical pieces. Many students start as complete beginners. We also prepare students for scholarship recitals and have a number of students gaining music scholarships. £20 for a half hour lesson. £40 for an hour lesson. The price of piano and harpsichord lessons with Eralys available on request. I am a passionate music teacher. Having been trained in a Conservatoire system from the age of 7, I do believe learning a musical instrument is a serious task. I am a friendly person and have fun with my students, but I like to push you to achieve your goals. I have a number of current students that have moved from total beginner to Grade 8 level within 5-6 years and I really enjoy seeing their progress. I also have a number of students that play to an advanced amateur level and perform in the local music festival competitions. 2010-Present. Running my own teaching business and developing the teaching academy. 2006 Sonia Gergis Piano Studio, 151 Beehive Lane, Gant Hills, Ilford. Job description: One to one tuition for children and adults. 1999-05 “Guillermo Tomas” Music Conservatoire, Havana Cuba Job description: piano, accompaniment, and chamber music teacher at (one to one tuition to young children, teenagers and adults) Havana, Cuba. Nikolas Sideris was bor n in Athens, Greece in 1977. He has been studying music since the age of 5 and holds a PhD in Composition from Royal Holloway, University of London. He received his Masters in Composition from the same university in 2005 with distinction and he also has a diploma in Piano with honours, and degrees in Harmony, Counterpoint and Fugue. His studies in the UK were funded by the National Scholarship Foundation of Greece (IKY). Nikolas, as a pianist has performed in concerts all over Greece, in cities such as Athens, Ag. Paraskevi, Holargos, and Ioannina, as well as abroad in the USA and Syria. His works have been performed in the UK, USA, Germany, and Greece and range from small works for solo instruments, to large works for string orchestras. His work Piano Stories for piano, 4 hands won the 1st prize in the Second International Composition Competition “Artistes en Herbes” in Luxembourg in 2013. His work for string orchestra (6-6-5-5-2) Exeliksis won the first prize in the Royal Holloway Composition Competition in 2005 and was performed live the next year in Egham, UK. He’s received commissions by orchestras and soloists from around the world and his work The City Under Different Eyes for Solo Piano and Audio Manipulation was featured in an adaptive audio playback software system. 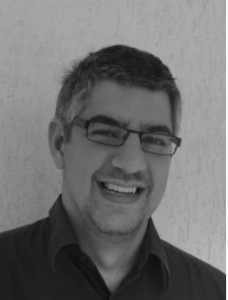 He is also active in the computer games industry, as a composer and sound designer and recently the game that he scored, Privates by Size Five Games won a BAFTA for best Educational – Secondary Game. He co-owns North by Sound, an Audio Production company based in Norway and Greece. Nikolas is teaching on Thursday and Friday. Nathalia has 11 years of teaching experience and a Performance Pianist Diploma from the Academy of Music in Gdansk and a teaching certificate. She has recently been working in a music school in Harrow providing the ABRSM programme, teaching students from ages 4 to 40. The lessons have been a mixture of classical and modern music and both individual and group lessons. 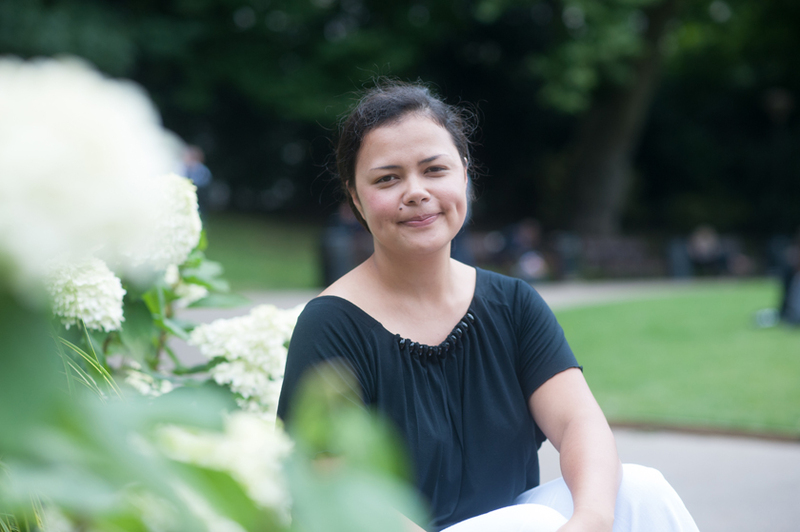 Nathalia has a passion for teaching children and has unique skills in teaching beginners. She has developed her own teaching materials to make lessons fun and educational. Nathalia is teaching on Friday and is very popular with all her students. When she moved from Saturday to Friday all her students insisted they moved time slots to stay with her. MA in piano performance, Trinity Laban Conservatoire of Music and Dance 2017-2019. Tuition from Elena Riu. A talented musician, responsible, creative and versatile with experience as a solo pianist, in chamber music, contemporary music and as a teacher of children and adults in group and individual settings. As part of her studies, Daniella has taken electives to extend her knowledge in pedagogy, learning to adapt her teaching to pupils of different ages and at different stages of learning. Her classes in piano or in general music can be directed to pupils of any level of ability. Daniella has always been very interested in teaching, this is part of her vocation. She sees it as an opportunity to build, exchange and feed knowledge. 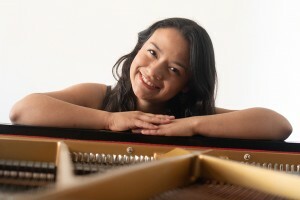 During her Bachelor studies, she taught piano technique and general music theory to non-music students which she found very rewarding. Her MA course in Piano performance has also covered the following areas, techniques of Teaching children and adult, general piano repertoire, piano teaching, modern techniques of pedagogy, chamber music, music theory, improvising. Seibert, William McClure, Marta Aznavoorian (pianist of Lincon Trio) and Oxana Virich. She formed the Akash Trio, a chamber group who have played several concerts in Bogota. She has presented concerts in auditoriums and venues across Bogota and London. Daniella has a fun and engaging personality and is our teacher on Wednesday and Saturday.